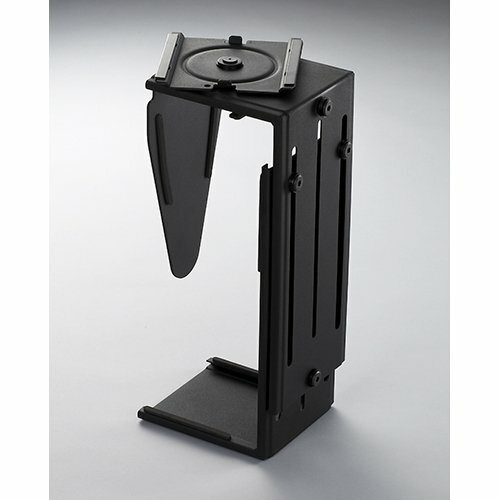 Symmetry Office Under Surface CPU Holder (Slide & Swivel Function) by Symmetry at Pacs BG. MPN: CPU2. Hurry! Limited time offer. Offer valid only while supplies last. Mount your CPU under the desk to save valuable space where you work and to protect it from getting hit on the floor by the vacuum, dust, floods, etc. Mount your CPU under the desk to save valuable space where you work and to protect it from getting hit on the floor by the vacuum, dust, floods, etc. This Harmony CPU will allow you to slide your CPU back and forth and rotate for easy access, giving you the ability to slide it completely out of your way.